“Penny Pinching, Frugal, Tight fisted, Miserly, Money saving, Cheap” call it what ever you want. Try raising 5 children on military pay, I call it Survival. Now you can learn how to be frugal and thrifty. That was a long time ago but old habits die hard, even as a grandma I’m still penny pinching. That’s why Pennypinching Grandma.com came to be, it’s all about trying to help you save a dollar and survive in this day and age. Not everything I share here will be my own ideas, some came from friends and a lot can be found all over the web. That’s what I’m going to do, find those penny pinching thoughts and put them right here, along with mine, in one place for you. I’ll be continually looking for new tips, ideas and or products to help pinch that penny and stretch that dollar. Did you know those dollars were made of elastic? In my house they are. When it comes to penny-pinching, I like to think I can pinch a penny as tight as anyone. I like getting unexpected checks from the consignment store where I take my no longer used clothes. I always balance bottles of shampoo upside down to get the last drop out. I remember my mother telling me when I was young, “a penny saved is a penny earned”, and those pennies turn into dollars. Who wouldn’t like to keep a few more of your dollars in the bank? Chances are you could be saving more by using a few penny pinching tips. Check out my web site and see which ideas can help you get a little more bang for your buck. Never spend your change, be penny pinching. Use a container and deposit all your change into it. Let all your change accumulate for a year. Use the money to get something nice for yourself, or continue adding to it, for several years and take your children (or just you and your significant other) on a special vacation. Don’t take your change to one of those machines in the grocery store, they charge a percentage. Go to your bank, most of them have coin counters and it is free. You can go here to check out Grandma’s new cook book. Check below for more great penny pinching tips and ideas . . .
More money is wasted in the kitchen then any other place in the home; let me show you how to be thrifty and penny pinching at the same time. Cooking can be a problem when you don’t have all of the right ingredients but there are penny pinching substitutes. You can still cook like a pro and use what’s available. Penny pinching grandma has written the Penny Pincher Cook Book and it is only available on her web site. Lots of main dish recipes for under $2.50 per serving. There are many penny pinching and money saving things you can do around the house; here are some of the best that I have found to do in my house. I’m not claiming to be an expert in the garden but I do know how to save money, these tips and ideas are both penny pinching and time saving. The key to penny pinching is to have, as much as possible, but only what you want, not what you don’t. You can save money and still have what ever it is you really want. Part of being frugal is knowing that we control our money it does not control us but being frugal is more then just a state of mind. Penny Pinching Grandma has found the consignment shop voted best on the web. It has a great concept with new ideas. Free stuff, what good is it if you can’t use it. Unfortunately that’s the case with most of it. I have had to look hard to find some free stuff you can actually use, so take a look. Here you can find a lot of other uses for everyday household things. 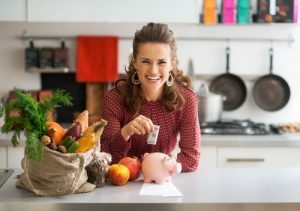 Not just saving money and time but healthy living tips as well. Want to learn more, you got to check this out. Crafts save on doctor bills and medications. Save even more because if you can make it you don’t have to buy it and its fun too. Ladies over 50, if you don’t wear a Red Hat and purple outfit you don’t know what you are missing. Come and let Penny Pinching Grandma tell you all about it. As a military family and even since we have moved many times, I’ve also been a Realtor. So I have a very good idea what it takes to make your home sell, putting a BIGGER check in your pocket. Check out Grandma’s Inbox, it’s getting all kinds of new and unique penny pinching tips and ideas from Grandma’s readers. She even tells how you can add your tips also. I really am a Penny Pinching Grandma. Do you have a great money saving or penny pinching tip? If so put it in the form on my Ask Grandma page. More money is wasted in the kitchen than any other place in the home; let me show you how to be thrifty and penny-pinching at the same time.